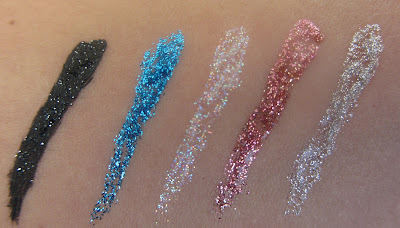 It wouldn't be right not to include glitter eyeliners this time of the year. 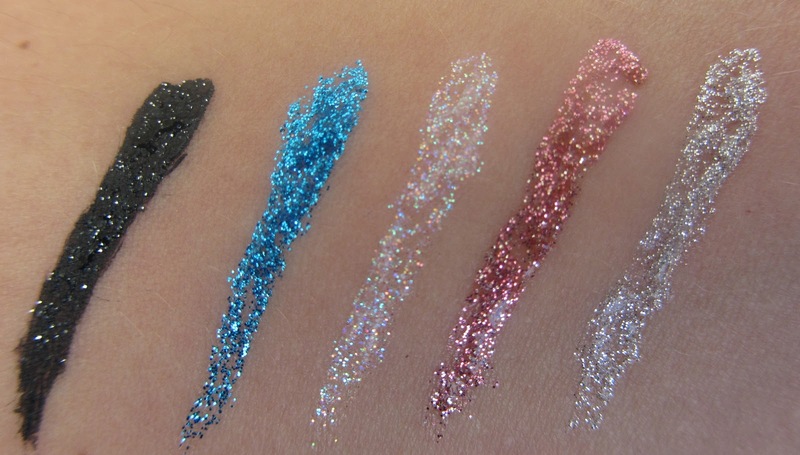 Perfect for creating a dramatic sparkle line along the lash line or for those a little more arty, a glittering design on the face. Stargazer have several colours for you to choose from and the fine synthetic point of the applicator brush allows you to create intricate flicks or full on Amy Winehouse cat eyes. Each liner is a bargain at £3.00. WOW! The colour payoff looks great! Love the coppery pink colour.